Photo: Deadman Summit in the southbound direction. Eastern Mojave Vegetation Deadman Summit in the southbound direction. Photograph taken August 14, 2008. The sign on the northbound direction had been wiped out. 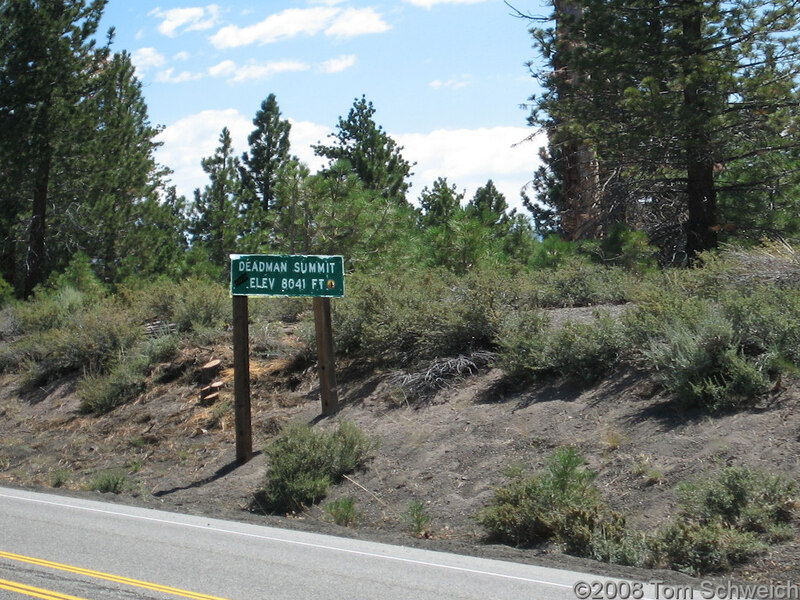 U. S. Highway 395: at Deadman Summit, south edge of Mono Basin. Other photos about Geography - Mono Lake Basin, California or Deadman Summit.